For anyone who fancies herself a beauty guru, there’s a big chance that she's heard of the extensive list of health and beauty benefits that come with using apple cider vinegar. For instance, it can reduce greasiness, a stubborn problem for those transitioning to sulfate-free hair care products. It can also remove product buildup. 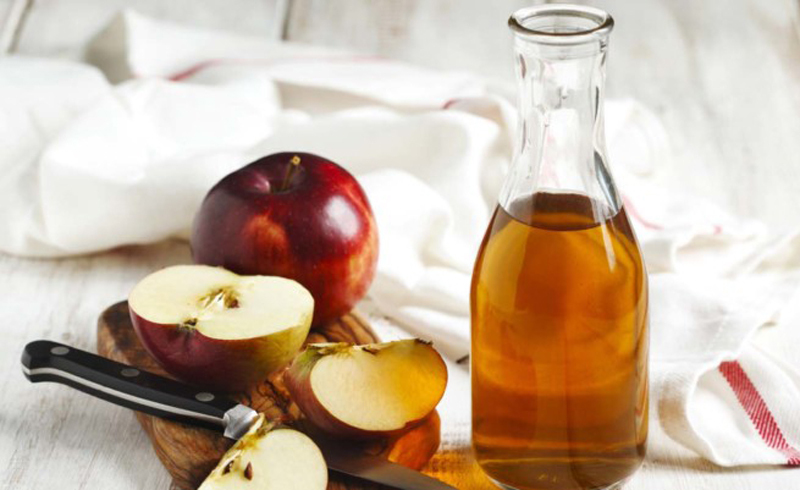 "Apple cider vinegar rinses are really truly about removing buildup of products, and they make the hair really clean,” says Jo Blackwell-Preston, founder and master stylist at Dop Dop Salon. Want to learn more about the wonders of using ACV to care for your tresses? Keep reading for the beauty lowdown. Apple cider vinegar contains acetic acid and pH levels. Whenever our hair is having an off day (i.e., it looks limp, greasy, dry, or brittle), it usually means that the pH levels in our hair are too high. ACV gives new life to our locks by lowering the pH levels and restoring balance. No one wants to be a victim of product buildup, so before anything else, determine which products are causing these hair issues. This typically means avoiding products that are heavy in oils, contain high resin contents, and have silicones that are not water soluble. 1. Start by preparing the mixture. Use 1/2 ACV (raw is best as it leaves all the nutrients compared to most pasteurized versions) with 1 cup of water and mix the solution together using a spray bottle or water bottle. Since the smell of vinegar can be quite strong, you can soften it by adding one or two drops of lavender or any other essential oil of your choice. You can start with a smaller amount of ACV and increase it depending on how your scalp reacts to it. 2. 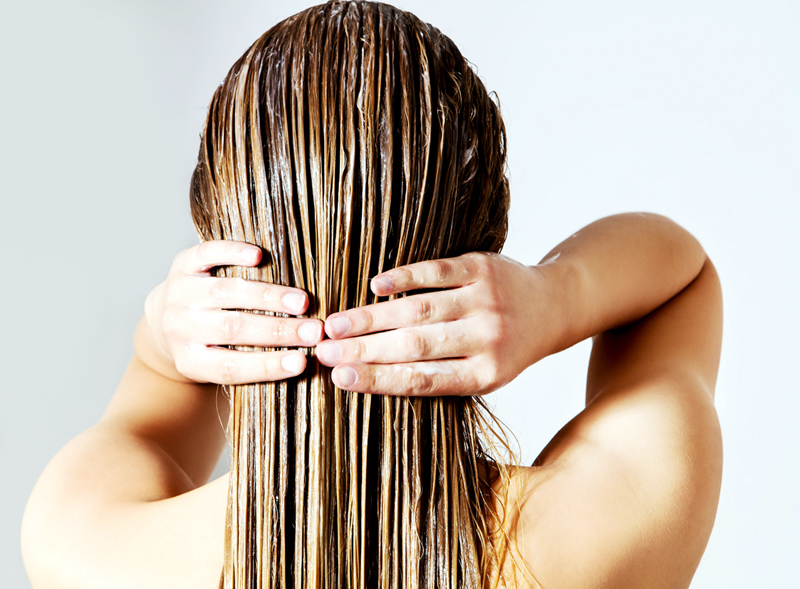 Shampoo your hair as you normally would, making sure to wring out any excess water afterward. 3. Apply the mixture to your hair, starting with the scalp and working your way down to the ends. Gently massage everything in with your fingers. Leave it on for about three to five minutes so the mixture has enough time to loosen the product buildup. 4. Rinse everything out with cold water (yes, it’s cold, but it will be worth it). You can condition your hair afterward to restore moisture and then dry and style as usual. Starting to regret dying your hair that bright pink color on a whim? You could spend hours in the sunlight waiting for it to lighten naturally, or you could give an ACV rinse a go. Full disclosure: It won't remove the hair dye—you will need to go a more intensive route to permanently remove the color, but ACV has been known to at least change the shade since the vinegar helps strip the dye from your hair. Who knows, you might even see your 'do in a whole new light after it's been rinsed with ACV and looks way healthier and shinier. To do this, apply several rinses until you get your desired shade. Whether you keep ACV in your pantry for cooking or it's a part of your beauty routine, it's a useful product to have around!